julissa. is using Smore newsletters to spread the word online. the settings were a lot of places like the forest town cities were squirrel tried to survive. The winter days at Susan's passed slowly and gently, like leaves falling from trees. one morning, a bright warm morning with sniffs of spring in the air. 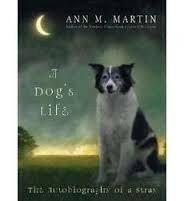 Ann Matthews Martin is an American children's author. Ann Martin grew up in Princeton, New Jersey with her parents and her younger sister, Jane. Her father was the great cartoonist Henry Martin.